The One&Only Ocean Club, Paradise Island, in The Bahamas, was named Single Asset Transaction of the Year 2014 at the Hotel Deal of the Year Awards presented at the Caribbean Hotel & Resort Investment Summit. 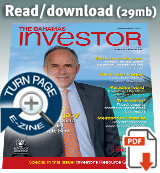 7 May 2015 (Hospitality Net) – Winners of the prestigious Development of the Year and Single Asset Transaction of the Year Awards were announced at the Caribbean Hotel & Resort Investment Summit (CHRIS). CHRIS was held April 27-28, 2015, at the JW Marriott Marquis Hotel Miami in Miami, Florida, USA. The One&Only Ocean Club, Paradise Island, in The Bahamas, was named Single Asset Transaction of the Year 2014. With 105 keys, the property was sold to Access Industries by Brookfield Asset Management for US$137 million ($1.3 million per key). The transaction was brokered by Solid Rock Advisors. The additional finalists in the Single Asset Transaction of the Year 2014 were the British Colonial Properties (British Colonial Hilton), in New Providence Island, The Bahamas, and the Hilton Rose Hall Hotel & Spa, in Montego Bay, Jamaica. This is an excerpt from Hospitality Net as it appeared on May 8, 2015. For updates or to read the current version of this post in its entirety, please click here. The Genting Group, which owns the Resorts World luxury resort on Bimini, has broken ground on a $4 billion development on the Las Vegas strip. Prime Minister Perry Christie, who attended the event, hinted that the resort operator is planning to announce further investment plans for its Bahamian resort. Watch a ZNS Network news report here. Indications are that the Bahamian economy’s positive, but mild growth momentum was sustained during March, according to the latest Central Bank of The Bahamas Monthly Economic and Financial Developments report. Download a PDF of the report here.